Young kids have wonderful imaginations for storytelling. It’s a big part of how they learn about the world and widen their vocabulary. So when it comes to music, why don’t we also make use of this gift? That’s exactly what Lyndel was thinking when she created the Play-a-Story curriculums. Inspired by her daughter, her resources allow beginning music students to explore the piano through play. If we allow our beginning students to learn in this exploratory way, we can foster creativity in young children and a lifelong love of music. By not teaching music reading for the first year, Lyndel creates students who don’t have to be told to add musicality and expression – it’s all baked into every piece for them. Lyndel creates students who don't have to be told to add musicality and expression - it's all baked into every piece for them. Lyndel’s passion for creativity in piano teaching is infectious and inspiring, you’re not going to want to miss this episode. Please find a full transcript of this episode at the bottom of this page. Alternatively, click below to download a PDF. 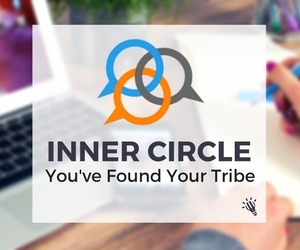 If you are an Inner Circle Member, you can find the full video and transcript in the Member Resources Area. Not a member? See below for how you can get $100 off your membership today. When students tap into the music that lives inside, their relationship with music changes forever. They discover what it feels like to play like an artist, with more feeling, freedom and authenticity. Lyndel has spent over 30 years teaching students to discover, own and love their unique, musical personality. Her program, Inner Musician – ‘Play a Story’ is an improvisational adventure, empowering students of all ages and proficiencies to enjoy expressing their own story through music. 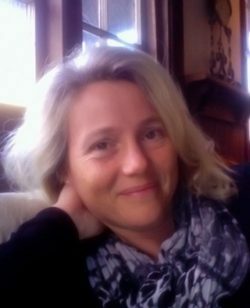 She use stories and movies to inspire and nurture teachers and students alike – helping them to discover their Inner Musician. Lyndel is generously offering 20% off New Teacher Memberships to all Tim Topham TV listeners. Just use the coupon code “TTPODCAST20” at checkout. This offer is valid until the end of December 2016. 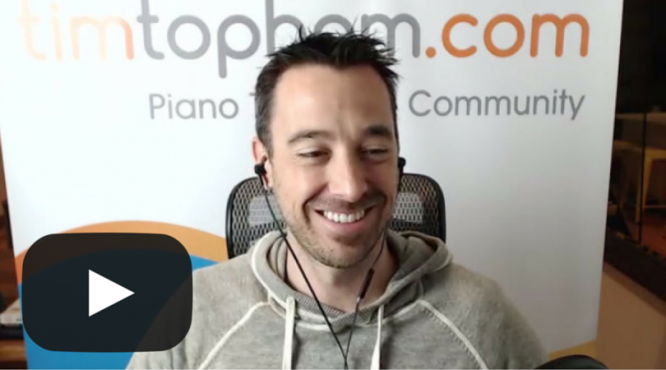 Make More, Teach Less – The step-by-step online course for running Piano Summer Camps. 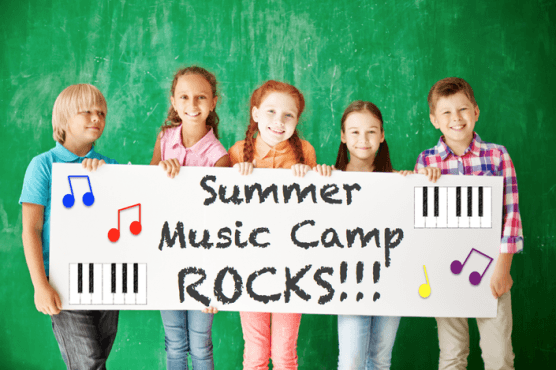 Are you looking for step-by-step guidance for creating your own piano summer camps and workshops this year? Are you new to the whole summer camp thing and unsure of how to get started? Want someone to help you? If you’d like someone to guide you every step of the way from planning to financing to contracts, then this course will be perfect for you. I’m so excited to be announcing that my great blogging friend Jennifer Foxx has recently released her own training dedicated to helping teachers get started with their own summer camp programs. The course is called Make More, Teach Less and it will be the ultimate companion for anyone looking to start their own summer camp program. Featuring nine online video modules that you can follow at your own pace, Jennifer’s training will cover everything you need to know. Remember that the best thing about a course like this is that it will save you heaps of time and money and avoid you making all the mistakes that Jennifer made when she ran her first camps. Do it right the first time and enjoy the extra income and benefits of a summer-time program for your students. Want to get $10 off the course today and grab some summer camp lesson plans? Just click the button below to find out how. Tim: Lyndel Kennedy, welcome to the podcast, it's great to have you here. Lyndel: Thanks Tim, it's really exciting, I'm so pumped, I've been hanging out to have a chat with you. Tim: I know, well look, you're one of my favorite teachers over there in Perth of course, in the west side of Australia, and you're also one of the inner-circle expert teachers, so you're one of the crew that are supporting all the teachers in my inner circle, so thank you very much in advance for that. And we're going to be exploring today some ideas for creativity and improvising, particularly with the really young children, because you have some great ideas that are completely out of left field I think, but work and have such amazing impact. So let's get started with a little bit about your background, just a quick bit of your history. How did you come to be doing this really creative, fun teaching you're doing now? Lyndel: My teaching history, my background is actually really diverse. I had the traditional old lady down the street with the ruler on the knuckles thing. Tim: Oh God. It's amazing you're doing it, still playing. Far out. Lyndel: I know. And you know what gets me, is that, I'm not that old, okay so, I'm 50 today. Today. Tim: Oh, it's your birthday, I didn't know that. Happy birthday. So for anyone listening to this, it won't be your birthday when this goes live, but happy birthday for today. Lyndel: Thank you. It'll still be my jubilee year, so they can celebrate with me. You know what amazes me is that, how many people just within our generation have had that experience in their piano lessons, that's just really wrong, right? But I also did a little bit of Suzuki, a lot of Yamaha foundation was part of my learning history. In fact, I think those years that I spent there with my amazing teacher Ronnie Weight [SP], in Melbourne actually, because I am Victorian, yay! She just mentored me in teaching and in learning the love of being self-expressive in music and how to teach kids and adults and she is just an amazing person. Also did master classes with the late Brian May in composition, and that was an awesome experience and opportunity. He's an Aussie composer, stunt movies, and I think he did the ABC Orchestra for awhile there. So, I've had a real mixed bag of performance, competition and all that sort of stuff when I was young, most of us do. But I have to say that while I was teaching I had four beautiful children, and when my oldest son turned four or five, I was looking for something really fantastic to birth in him a true love of music. To his heart, because for me that's what captured me for my lifetime, is that I learnt that music was a part of who I was, and that's what I really wanted for my kids. And I was looking for stuff, and I could not find stuff. I mean, love kinder music and all those things, but once we get onto the piano, then it becomes almost like an academic exercise, or at least it did at that stage from what I knew was out there. So, it takes somebody from left field to teach something left field. From left field, we have another term for that, weird. Tim: I think let's keep the story going. You found this need, what happened next? Lyndel: I was looking for means by which to do this for my oldest son Nat, and then didn't really find a lot but started experimenting with taking my little play group kids and with their moms and we'd sit there. And I guess in hindsight it kinda modeled itself a little bit on the, you know the "Peter and the Wolf" idea? Of telling stories, we were making up stories, and we had six keyboards all around, and of course they all have their own sound, harpsichords, violins and pianos, and all that sort of stuff. So it was kind of imaginative right from the beginning. Nothing structured, we were just mucking around. But it was so much fun, and I realized, if nothing else during those few years, I was capturing their heart for music. That was really clear evidence. So, moving down a little bit, and I'm sorta just mucking around with ideas and really not sure whether this was even something I could commit to because I knew it was going to be huge if I did. Creating a new curriculum, crumbs you know? Out of your right mind, woman. And so then little Josephine comes along, she's my fourth child, daughter. And I remember one day, it was the first day of school, and little Josephine's my last leftover child, and so she's off coloring in, drawing, I don't know what she was doing somewhere. And every mother has this moment, "Huh? What is it I used to enjoy doing in my former life? Because I just am so busy." And I went, "I'm going to turn my stereo on, full bore and listen to my favorite music. And I'm not going to do anything else." My favorite music at that time is actually the soundtrack to "The Mission." Tim: Ah yes, beautiful. Ennio Morricone. Yeah, beautiful. Lyndel: You can imagine right, if you know that music and all of our listeners, go listen to it. It's just beautiful. I've got it up full bore, I've got my eyes closed, and I am transported to another world, just like I wanted. And I open my eyes, and here's little four year-old Josephine sitting on the steps with tears streaming down her face. And I'm going, "Hang on a second, she's only four. How could she relate to this music and she has no experience like I do," if nothing else I connected to the movie, so I asked her, "What's wrong?" Tim: Why are you sad? Lyndel: Crying. Yeah, yeah, and she just said, "This music is so sad." Tim: Oh wow, isn't that amazing? We always think that three or four year-olds, they don't relate to music like that. Lyndel: That's exactly what I knew to be true. The Wiggles, right? Lyndel: Spaghetti. And so I pulled her into my arms and I turned the music down, I didn't turn it off, I just turned it down because I was really intrigued to find out what was going on in her head. What was she relating to, and where was she getting her associations from? We cuddled up on the couch, and I said to her, "What's happening in the music? What can you see happening?" And she just looked at me and she said, "It's a butterfly, and it's lost its mommy, and it's so sad!" And I said, "Of course!" This is her world, this is her life, she has experienced things, emotional things. Inevitably, as the music turns mood and shifts gears and whatever, we just kept listening and it became more hopeful and upbeat. And she just turned around and she said, "It's okay! It's okay! She's found her mommy!" Lyndel: Then we just started making up stories to this one soundtrack of these adventures of this butterfly. And I guess it's no coincidence that the first journey in my program follows the journey of the wind in the forest meeting this little butterfly. That's really where it started, that's its genesis. Tim: It is so fantastic to hear that story, because I've known you for a long time, and I've known your programs, and I love what you do obviously. But I've actually never heard that genesis, the story of how it all began. That is beautiful, the background to that story. I've never heard anything like it. Isn't that wonderful? Lyndel: It is. And it's a legacy that we continue to this day. She plays beautifully, you know? Tim: How old is she now? Lyndel: ...that we started this crazy group. Tim: Brilliant, that's absolutely brilliant. The other thing that I picked up while you're talking was using sounds on keyboards. And Paul and I in our recent workshops around Australia, we've been talking about this. We often forget, as teachers, that so many of our students are playing on digital pianos which have all these sounds and rhythms and beats and things in them. And I find, I don't know about you, but unless I really ask my students to explore them, they don't really think to press all those buttons for some reason. That's what I find, anyway. We have to encourage them. Lyndel: ...at least an acoustic piano, but if you can't do that, at least use the "piano" sound. Tim: Yeah, it's true, but we're missing out on so much, isn't it? You hold down a big chord with a string sound and wow, we've got a soundscape. Lyndel: A pipe organ for crying out loud. Tim: A pipe organ, yeah. Tim: I know, I know, but it's an important argument because there is still a very strong anti-digital piano...although I think it might be changing, because the technology is improving very fast and the quality of digital pianos now is pretty extraordinary. I think the lines are gonna blur and eventually cross completely. Lyndel: And I have to say, I was watching all your podcasts on internet teaching, and I've since downloaded the internet MIDI program. Because I have quite a few internet students all around Australia. It's mind blowing, that using a MIDI keyboard, my students in outback Australia play my instrument in my studio, it comes out of my instrument and they're playing way remote. It just does my head in. Tim: It's incredible, isn't it? Lyndel: Like a real-life keyboard. It makes us so much more versatile, and it makes the world a smaller place. Tim: And for those people interested, if you missed that episode, that was with Mario Ohiro on taking your online teaching to the next level, and that was episode number 53, which you can find in the archives. All right, let's go on, just quickly, what does your studio look like today, with the number of students and that sort of thing? Lyndel: ...descriptive teacher. We have all this fantastic back-and-forth with ideas, so I gain my most energy as a teacher from teaching in those small group circumstances. And no one has headphones, it's all on the one piano actually, we do a lot of round-robining and sharing ideas, jumping up and down off the piano stool. But I also do teach private as well, I have a few students who sort of aren't a perfect fit for any groups I might have running at the time, so a couple of autistic children that are better suited to a private environment, who I then sometimes bring into groups, which is really fun. That's a thrill, especially for the parents of those kids. Tim: It's great to know that your ideas, your program works with groups of children, but only one instrument. Because that's a great way for people, if they're interested in group work, they don't have to go buy a lab and build a new room on their house. Lyndel: ...of students, really. So I've got the kids in the front and the home coaches behind, and they are learning alongside, I mean, free lessons, why not? Tim: Yeah, that's right. What's interesting, in episode 62, I was talking to Irina Gorin, about the way she teaches beginners, and she says "I just don't teach beginner students, unless the parents are 100% committed and there practicing with their students," it just doesn't work she says. So you have a similar thing. Lyndel: I agree with that. Tim: Also, we were talking too about the pre-reading phase. So that part of time between taking on a new beginner, a young beginner, and actually starting them reading music. And for her, she'll do anything pre-reading between four and eight weeks with students. And as people have spoken about it before, I've just recently started a new student with a full term, so 8 to 10 weeks of no reading, and just improvising, creating rhythms and all this. So why is it important not to teach reading first in your opinion? Lyndel: I'm gonna one-up you anyway. I do 12 months and I win. Tim: Twelve months? Of just creative, singing, music making, yeah. Great, well tell us firstly, before we find out what you do, why is that important to you? Lyndel: I can't imagine teaching a student reading from the very beginning. I actually can't get my head around that because it seems such hard work to read before you have an experience of what you're reading. I mean, we've all heard the comparison between music and language, and how you wouldn't teach a child to read before you taught them to speak. That just makes total sense, right there. But for me, it's even more important in the arena of self-expression. If I have a student who comes to me for the first lesson, and the way I set up their lifelong music learning journey is to say, "Here's a piece of music that someone else has written, and I want you to play this piece of music. And if you can, you are musical." And this is what our culture has said. If you can play Beethoven, you can tick the box because you're musical. And that comes through reading his piece and playing it exactly as we imagine he would've played it. Correctly, right? And it sets up a culture that says, "I'm not musical unless I can play what a musical person, who's proven because they've got written music, can play." And I say no. We are so innately music, it's part of our DNA, you can't ignore it, we live, breathe rhythmically with beautiful perfect pitch when we speak, we don't talk like robots. And all of these things point to the fact that we are musical, so how do we get people in our Western culture to understand that? We unveil it. We allow them to take off the layers and to experience music from the inside out. So they can say from the very first lesson, "I'm musical because I play the piano." It emerges from inside out. And then, "I'm so musical, that I think I could even create compositions and have them written down. And why would I do that? For no other reason than to allow other musicians to experience my musicality when I created that piece of music." So then we share our musicality, but it doesn't govern if we are or if we are not. And I love that idea of not having my music written in stone to prove that I'm musical or not. Lyndel: That's why reading, it has to be out of the equation for a time. It has to be delayed, so we can really ground our students in that philosophy. I am musical. Tim: And I love the comparison between babies and infants babbling and just making sounds with their mouth while they try and work out how to say the right thing. That's the time that we don't give our students, they don't get that chance to just babble at the piano while they work out what works. Lyndel: I love babies. I've been preaching that for years, you must've heard me. So literally, our Musicopolis program is just a bunch of babble. Tim: There you go. I think I've never heard anyone describe their own program as babble, but you heard it first here. Lyndel: Because that's what it's about, it's about curiosity, experimentation, exploration, just having a love of getting your head around a brand new world of expression. And that's what we're doing on the piano, and at the same time we're learning some pretty mighty key theoretical concepts. But they are happening under the radar, they're emerging. And because these kids are experiencing those concepts, then they own them. They become part of them, they become part of their journey. Our programs, I'll talk to you about that a little bit later as we get into the program, but what we actually teach, it's not just throw paint at the wall and see what happens. Although that's fun. Tim: Yeah, that's true, that's true. Well look, I think anyone listening will have to have been convinced by your comments just before about the importance of not reading first. For those teachers who've been brought up, been taught themselves that "Here's middle C and lesson one," what are some of the things they can do, let's just leave your program aside, what are some things you would approach or recommend teachers approach with their students, pre-reading? Lyndel: Yeah, oh my goodness there's so many fun things to do, right? Tim: Give us a few ideas. Lyndel: You know what, probably the first thing that comes to mind would be get your students on the black pentatonic. That's where we start. Tim: So just black keys, right? Lyndel: Just black keys. And here's the thing, use the expression pedal. Just get your kids to have it down. By default, all my students begin learning the piano with the expression pedal down, so use the same pedal. Which probably now I'm creating a whole lot of angst. But the reason is, it's called an "expression pedal" for a reason. It gives music life, especially on the pentatonic, because we know that every black note has been, the sound waves create harmony just by using black notes. So as long as you don't fall off the logs and into the water, don't play on the white, you're fine! Lyndel: Musical improvisation is setting up a musical dress-up corner. So, what do kids do at this age? What's their favorite activity, not only at home but once they hit kindie and into preschool, there is always a dress-up corner. And they just flock to it, and they put on their little uniforms of the firemen, they have a little hospital on the corner, and they're playing the mummies and daddies. And it's the whole concept of role playing, right? And what are we doing in music? We're just role playing. We're just expressing how does it feel like to be heartbroken. Have a look at all the titles of the million-billion dollar music sales industry, and every title tells a story. Why? Because human beings are driven by story. So let's take it back to your question. Tim: Actually sorry, let me interrupt you, just on that. You've talked emotion, a lot of talk about emotion, and I think that's also something that gets missed when you start with reading, it becomes this very academic thing. And then we go, and we ask students, "Okay so, let's add some emotion to that now." And I can see why your approach makes that an argument or a discussion you don't have to have with your students, because they're coming at music from an emotional perspective. Lyndel: It's just exactly what I was gonna say. I don't have students who perfect a piece, when they've been advancing to Beethoven, when they perfect a piece they don't practice the emotion out. It's always there, in every bar, in every note that they play, because they have a culture of "music is emotional." And so therefore, I tell you what it does, it preserves that absolutely perfect first love of why I'm playing this piece. "Why did I choose this piece?" Because I heard it, hopefully, I heard it and went "I love that piece, I wanna play it." Tim: So ideas, yep. Pentatonic, black notes, pedal down. Tim: And tell a story. That's a simple thing you can do as well, that's relevant to the child. Lyndel: Yes. Yeah, find out what they're interested in, and we actually and in our program we have a segment that's totally improvisational in the sense that nothing's structured, even around the subject material, so totally away from the program, called "Play My Story." And the kids love it. So they'll bring in their pictures, and I'll put it up, in fact they're all racing to the piano to start with. I don't get a word in, they've all just got all their picture scrapbooks that they've done and they're all lined up around the piano. And they're going, "Can I go first this time?" It's just beautiful. They stick their picture up, they may explain some of their picture if it's not quite clear. And then they will play across the piano, usually adopting the theoretical concepts that we've learned so far, because obviously you want them to include those in their playing. But they've chosen the dynamic quality, the feel, the sense, the range of the piano, what's most appropriate for their picture, the speed, the tempo, the whole thing, they've become completely in charge of. And what a liberating thing for a four year-old to finally be in charge of something in their life. Lyndel: And so it's very empowering, and it's a performance moment, because even if it's a private student, they are performing for me, and for Mom, and for their family. Because their family is listening to that, so it's a validation of their musicality, which is utmost. Tim: Do you get them to go home one week and draw this picture, and then come back the next week with it, sort of thing? Lyndel: And they bring to me their inspiration. Obviously my older students don't really draw pictures anymore or bring ice cream containers full of caterpillars which happened recently. I'm like, "Don't crawl out on my piano!" Honestly, she brought this container of caterpillars and she played caterpillars all over the piano, it was priceless. Just priceless. Tim: That's great. So what do the older students bring? Lyndel: They verbally tell me what their inspiration was for their improvisation or composition, and I always ask them to describe, so they're learning to speak as musicians and as artists. So I'll ask them first, "What was your inspiration?" And they might go, "You know what, this week, I had my first day at my new job, and the most terrifying thing was getting on the bus and realizing this was the first day of the rest of my adult life." Almost like it was epic, so they'll explain it. But then what I'll do, is I'll say "Okay, now tell me musically how you've expressed that on the piano." And so I'm asking them to tell me about the dynamics and about the key signature, about the process of the evolution from improvisation to composition. And it's good for them to think that through, it's not just, "Well you know, I chose five notes at random, and then I made them up, and then I made contrapuntal harmony around it and la-la-la." I wanna know, how did they arrive at telling their story? Because that keeps that emotional context, yeah? Tim: Do you listen to them first or ask about it first? Tim: Both ways, all right. That's a great idea. Lyndel: Sometimes I'll have the rest of my kids in my studio and my parents put their input in. They'll do the interpretation. So right here, anything asked here today, I'm not explaining a single thing, it's up to you. You literally have to tell your story through your fingertips on the piano. Go for it, and we'll tell you what you played. And it's amazing, often it's either extremely different, but the same mood, but a really different environment, or it's uncannily close. Fun. Tim: Great. Okay, let's talk about your program, it's called Musicopolis at musicopolis.com, and what ages does it suit, and can any teacher use your ideas? Lyndel: The first thing is, an exclusive announcement here on timtopham.com. Tim: You heard it first. Lyndel: You heard it first. We are now called, instead of musicopolis.com, and you can still find us there, there'll be a link towards that. But we're now called innermusician.com. Tim: Oh, here we go. I didn't even know this before the interview. That's nice, that's surprising, I love it. Innermusician.com. Lyndel: You're probably the first human being outside our little organization here that's heard it. Tim: I love the name too, it's so...apt for what you're doing. What ages? Lyndel: And the program is called "Play a Story." Our program is, gosh where do we start? To make it as simple as I can and make sure I'm covering it in a sort of logical thing, because I do love to tell a story. Let me start by saying that I've taught teachers all over the world to teach our program. We've had over 300 teachers teach our program, and we have about a thousand students. We have about 4,000 views on our program materials. That's cool. Per month, that's awesome. Lyndel: Yeah, I love it. So it's being used, and what I love is that teachers feedback to me that the whole concept of playing this way and learning this way has changed their lives. Because now music becomes part of their life, instead of it being something they put into a hour practice or a few hours teaching. They've actually kind of embraced it as part of their whole life. And for their students, the same thing. So basically what we're saying is, if the world was music, if the world could be heard in music, what would it sound like? I was giving a teacher seminar in San Diego, many years ago now, maybe I'm thinking five to six years ago, and we had a master class. I had six adorable, brand new little people, I'd never met them before 'till that day. And they came in and I gave a public teaching class. And so we did it all, and at the end of the lesson they went just outside, actually just outside into the garden area while I debriefed the teachers as to what happened and... And when they came back in for us to say goodbye to, one of the teachers that was just hovering around out there supervising said, "You know what, we were standing out there, it's been drizzling, so the ground is all wet, and in the garden, there's these little shiny black pebbles, covering the ground of the garden. And one of these little, five year-old boys picked up this brilliantly shiny, glossy black pebble, held it up into the sun and went, 'I wonder what that would sound like if it was music?'" And I went, "Yes!" So, that's what we do, we take ideas, circumstances, environments, and we interpret them musically. So we've created three journeys, and so we've got hard copy books of all of the journeys, and basically each of these journeys take us through a completely different scene. So this first one is, "The Song of the Zipwind," and that's the forest with the butterfly that I mentioned earlier. And then we've got "Ocean Lullaby" which takes our students throughout the ocean, so sea grass pastures, the sandy beach, coral garden. Tim: About to head away, actually it will all be over by the time this goes live, that's a bit of a sad thought, let's not talk about that. Lyndel: No. So we're going for some mountain trekking. So "Travel Notes" is a story about a teacher, woo-hoo, who travels around the world and keeps a journal for her students, her music students, and the journal is literally the vehicle for opening the page and hearing, what would the music sound like coming from Italy? Coming from Japan? Coming from Ireland, with the mist, and Egypt, and the USA, and Australia, have you ever heard a didgeridoo played on the piano? You have to find out. Tim: Yeah, that's right. And thank you, by the way. And for something, let's just take one of those for example, let's just say one of the locations is Spain, so the student gets some pointers, do they get some patterns that they can explore from? How does it work? Lyndel: Yeah, okay. Within each journey, we've got multiple scenes, and each of those scenes covers what we call a musical motif. And that's the critical core of our program. So within that motif, we are learning key theoretical concepts, which include dynamics from fortissimo to pianoissimo, basic chord structures of one-four-five, two minor and six minor, major/minor triads, arpeggios, extensions, suspenders, fa-la-la-la-la, rhythm, waltz, swing, all that. Blues, so it's very extensive what they learn, but they don't have to learn a whole song in order to learn those concepts, and that's why we cover so much in such a short time, because the motif could consist of four or five notes, or a particular region or a particular interval on the piano. Lyndel: In every way. That is exactly what it is, yeah, exactly. Tim: ...and as I've always said and I've been saying in our live training recently, patterns are the words of the musical language, and that's what students have to know. And the babbling, as you say, it's like okay, here's a pattern, three black notes. Let's babble with it, let's start down low, let's go up high, let's put the pedal on, yeah. Lyndel: Fast, slow, legato, staccato, how can we interpret this to make it appropriate emotionally for the scene that we're looking at? And the motifs are so carefully selected so there is an awful lot of underlying teaching philosophy of working out, how do we get those precious few notes to have maximum impact in expressing this scene? In fact, last week we did Africa in "Travel Notes" in my class, and I had a South African family there, and I played one bar of "Africa" and this enormous in-breath from her, she just went, "Oh my goodness, you just took me home!" Tim: Wow. Great stuff. So what ages have you used this with? Lyndel: The "Play a Story" with a storybook, I used optimally from about four to seven-ish in there, and I use it as a complete, exclusive program, as a method if you'd like. For 12 months, usually it takes 12 months to go through all three journeys. We provide teachers with lesson plans, and I've actually recorded live lesson videos for every single lesson on the lesson plan. A teacher can just go straight in and watch the lesson plan, watch the video, get the gear together and teach it that day if they wanted to. Most teachers like to kinda get a bit of a broader scope. So that's the age group that the students interact with the "story" part of "Play a Story," or the "book" part of "Play a Story." But we also realize that kids grow out of books, which of course they never do, but they think do. And how do they grow out of it? Because they love the movies, and as adults, movies are an adult's story. So what we've done is created a story book for every scene that's both animated online, or you can buy the hard copy versions as well that go with it, but we've also created two minute movies of every scene, and so in these movies there is no story, but it extracts the mood and the ambiance, and the background environment for each scene. And so then you express, for sea grass pastures, in the second book, the story is about how these grasses move and interact and all of that sort of thing, and there's verbal motivation for your improvisation or inspiration. Tim: Film scorers, film scorers, yeah. It is just so creative, I know people listening and watching are gonna be going, "Wow, it makes so much sense, why don't we give student a little film to compose music to?" I love composing with my students, I do it a lot, but I've never kind of really done that. But here you've put it all together for us. Lyndel: That's right. I've created projects so you don't have to research what makes a good movie to compose, and how am I going to find a motif? Because telling them the sky's the limit? Well, the sky's just too high. So bring it down, give them, as you said, a little palette of colours, and just give them an idea of playing within that environment. What happens is that in those classes, a typical lesson would look like this. We first of all, we always do "Play my Story," and when that's done we listen to the story book with the animated story, and the voice, and the sound effects, and a musical score. So there's actually already an orchestral score. And it doesn't follow the motif, and it's not something that they're supposed to try and play. What it is, it's an emotional card-setting. It's like a place setting. So that they know what we're trying to achieve with this story. And then they describe how they feel about the music, and we take those words literally off the whiteboard and we put it onto the piano, so then I'll demonstrate the motif while I read the story, so that they're seeing, "Ah yeah, so now the butterfly's making a chrysalis and going to sleep for a long time," so my music is telling that story and they're getting, "Ah, I've gotta tell the story here." And they get on the piano and I show them the motif, which they learn in a matter of seconds, that's really quick learning, and then we round robin, and they'll experiment by getting on and I'll explain the story in bits, one section of the story for each student, so they get a little bit of a different feel as they play through. So then when go home, they've got everything online. They've got a coaching session, which is actually like a lesson review summary of what happened during the lesson where the motif is broken down into quick little, about four or five, two-minute teaching segments at the piano showing exactly how to break the motif down. Especially if they're beginners that's really good. Parents can get back on board then, if they've had a really busy day and they weren't really present. This happens. And then they watch the easy demonstration, which is a piano being played with the story at the same time, so they get to see the connection, which is really important. And then they go ahead and they can either play to the story with just sound effects, and the text is just written up on the screen as they play. Therefore someone else can read the story, so it becomes like an ensemble, because that's what an ensemble is, playing with other characters, right? Tim: They're carrying the music. Brilliant. Lyndel: Yeah. So that's how that part of the program works and that's what I use exclusively for that 12 months. I also use the program alongside what I just regularly teach, and so for 10 minutes, say at the very beginning. I like to do it at the very beginning because it's a good relaxer, it's a good ice breaker /warm up, is we do one of the scenes, and especially if they're advanced students, I'll have them again watch the movie with the music to get that emotional context. And then I'll have them watch the advanced demonstrations at home, so that they can actually...I have them pick three ideas from the advanced improv, which of course is still got the motif, but with all sorts of artistic license. So I have them pick three ideas, they have to articulate what those ideas were and demonstrate it in their improv the following week. So it can take 10 minutes, but it's critical to keep that foundation of, "I am musically intuitive, music comes from the inside out, and I choose to create." Tim: I know the first thing people are thinking is, "I don't have time, Lyndel. It sounds great, I've only got 30 minutes, I don't have time to put 10 minutes into this." What would you say to them? Lyndel: Even if I was to just set a project, because actually, quite frankly, sometimes I don't either. Sometimes we're working towards a recital, or we're doing exams, it's power-packed into that time. What I love about the program is that it's all online. It's all self-supporting. And so I could even take 30 seconds, and I assign a project. I go, "Okay, look, the next project is we're working on "Sandy Beach," look, it's a blues piece, it's awesome, you're gonna love it. Check out the motif, in fact this is the motif, [singing]... It's 12 bar blues, you know the blues, get into it, I want to see you create a right hand improv to go with that bass. Are you good to go? Yep? Okay, go for it. Don't forget to cut the demonstration and I do want three ideas." Tim: Okay, yeah so it's flexible, yeah. Tim: And also, it depends on what you consider is important too, doesn't it? If you cherish and value the importance of creativity, then you will find the time for it in your lessons. That's my take on it, too. Lyndel: I agree with you 100%. And if you don't, then, hey, you can turn off now. Tim: And the story of getting the icicles, you went to the ski slopes. And yes, we have ski slopes here in Melbourne. Tim: Oh yeah, that's right, look, just amazing, so I would love for people to check this out. I just wanna ask a couple more questions, but we're gonna finish up pretty soon. How do you license it, or use it? Do you just pay for it and go for it? Tim: Is that Australian dollars? Lyndel: Yes, that's correct. And that provides you with the whole program to use in your studio for your students. As I said, the live lesson videos are in there, where you're watching each lesson for a half an hour. Watching me for half an hour, I mean, wow, that's got to be costly. Lyndel: Wow. There's really comprehensive teaching notes that have got conversations that you're likely to have, particularly with parents actually, not so much with kids because they, you know, get it. But for parents who are maybe more academically inclined, they'll say "When are they gonna learn a real song?" And you've got answers to that, if you're a member. There is chat group support, all that sort of thing. And then as you bring on students for them to be able to learn the program, they just have a $25 per level purchase, and it gives them access to the program for 12 months, that's per level. But you could also just pay $60 and you get all three levels for 12 months. If you need an extension beyond that, because as I said, it takes about 12 months to get through it, but a lot of kids just love to then have it for another year, so then you can just purchase another $15 extension for another 12 months, even if you bought all three levels or whatever. It's also good if you've got a sibling coming through, and you obviously don't want to have to pay for the whole thing again, so $15 will give you another 12 months to get them on through. You jump in when that sibling is ready, and you'll get immediate access again to everything you've purchased for $15. Tim: Okay, so there's a fee for the teacher, an annual fee for the teacher to access everything, and then the parents for the child pay as they go as well. And that isn't a cost that we need to bear as teachers, that's obviously just charged to the parents. And when they see the amazing outcome that this kind of stuff has, they'll be more than happy to pay, and they'll know it's worth it. Lyndel: Sorry, I was just gonna say that teachers can purchase the material for their students, and have them linked into their teacher dash, so they can actually see what activity their students are doing online. Or a student can go in and just purchase it directly as an individual, and they can deal with it. Tim: I was gonna say that the great thing I think about this method and all the things that I encourage teachers to do is that you don't have to ditch your current way of teaching. This can be a brilliant add-on, or alternative, particularly for that beginning, that pre-reading phase, if you're looking for ideas, and you think that what we've been talking about makes a lot of sense, then here is a ready-made program for you. Lyndel: Yup. A really easy-to-use, easy-to-teach straight out of the box, there's not a huge learning curve for teachers unless this is also a brand new environment for teachers, you know? And that's precious, if you're a teacher, you've been teaching for 30 years like I have. If you're a teacher who's never done an improvisational experience, get on board and just do it for yourself, it's really rewarding, and then pass that onto your students. And that learning curve is just fun, I know it's not an intense "Oh my goodness, I have to get these lesson plans into..." You know, it's all there. Just watch and go. Tim: Yep, that's great. And do you have some trial resources or some videos of you teaching that are freely accessible that teachers can find? Lyndel: In fact, we've got sneak peeks, so once you get onto the website, you can have a look at those, as soon as you hit that, just look for sneak peeks. But we also, in fact I'll give you some links if you like to add to the show notes, to just a couple of little visual summaries of some of the conceptual stuff that we've been talking about today. And also some little sneak previews of those live lesson videos if that will be helpful, because then teachers can go, "What does that actually look like?" Literally, it puts flesh on the curricular bones, you know? What are the conversations that come up, and how do you play around with those conversations in a live setting? And you know what? We would love to offer your teachers a bit of a bonus if that's okay with you? Tim: Of course it is, I love hearing about this. Lyndel: Yes let’s share the joy and share the love, so, we're gonna offer a 20% discount on new teacher memberships for the next four weeks, so probably the best way to work that is if you just contact us through the website and ask for a voucher, we'll apply it to your membership as soon as you sign on. Tim: So you're talking now to the teachers who are interested, or will we put the code on the show notes? Will it be the same code for everyone? Lyndel: Probably. Let's figure that out in a few weeks, because I'm gonna be O.S. Tim: Beautiful. Well alright, we'll work on that, but there'll be a discount for all the viewers and listeners today, thank you very much Lyndel, that is awesome. I'm loving what you're doing, and I think the other thing I would say too is any time teachers listening, if you are looking at trying something new with your students that's creative or a little bit outside the box, if you can possibly find a resource or a program that has online support for the student when they're at home that the parents can do, then it makes all the difference, I think. I think it is really important and it's a reason why I like Piano Safari for example, they've got so much online to help keep things ticking over during the week, it's so important. Lyndel: Exactly. And really literally, they're taking a teacher home for the week. That's fantastic. And kids are so used to resourcing their learning online. More and more so in school, but also, just YouTube, they're learning stuff, it's a era of learning. Tim: Brilliant. That's brilliant. Anything else we've forgotten to mention? I think that was pretty comprehensive. Lyndel: Yeah, I've had a ball, Tim. You're awesome. Lyndel: Yeah, we're having breakfast soon. Tim: Yeah, yeah, oh in Melbourne? Beautiful. And then I'm over in Perth for our "Transform Your Teaching" workshops in November, too, so we'll perhaps catch up then. Yeah, be great. All right, I think we'll sign off there. Thanks again for your time, enjoy your trip. Have a good one. Tim: Alright, see you later Lyndel. Lyndel: Thanks for all that you're doing getting all of us teachers to communicate. Love it. Tim: You're welcome, you're welcome. Thanks for being a part of it. See ya. Bye. How do you use storytelling in your studio? Does the thought of improvisation only for the first year of lessons intimidate you? What is your favourite insight that Lyndel shared in the podcast?